Established over a decade ago; once again the Central African country of Cameroon situated in the Gulf of Guinea, staged its annual end of year tournament. The event was held on Sunday 18th December in the capital city of Yaoundé. However, this year, it was a tournament with a difference. 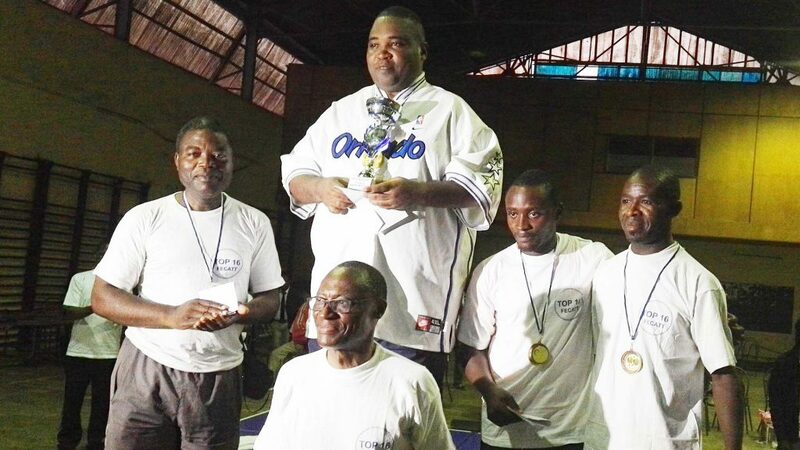 Traditionally, the tournament has been the Top 12 Cup with the leading players in the country competing; once again many of the most prominent Cameroon names competed but the number of participants was increased. Four more entrants were accepted in each of the three events, Men’s Singles, Women’s Singles and Veteran Singles. Thus the tournament followed the example set by the African Table Tennis Federation, who in 2014 inaugurated the ITTF-Africa Top 16 Cup, alternating biennially with the ITTF-Africa Senior Cup. 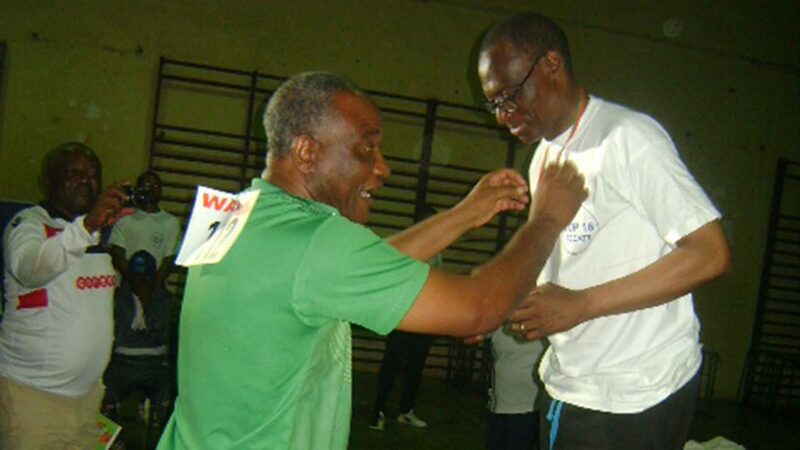 Throughout, even before assuming office, the Cameroon event has always been sponsored by Alfred Bagueka Assobo, the President of Cameroon Table Tennis Federation and recently elected the Regional President of Central Africa; it was the same this year. Intense competition was the order of the day. Christian Tsague emerged as the Men’s Singles champion beating Celestin Nguepnang in the final. The Women’s Singles title was secured by Bernice Bih, who overcame Sorèle Guimfack to secure the top prize; Paulin Vouffo beat Léopald Ngamaleu to be anointed the Veteran Singles champion. Meanwhile, in the consolation events; in the decisive final matches Gilles Tsimi defeated Nicolas Ntamack to win the Men’s Singles competition, Alida Kepte won the counterpart Women’s Singles event by overcoming Vicky Thcanga, whilst Victor Tamtchouon ended the hopes of Nkeng Ngos to secure success in the Veteran event. Impressively, the four semi-finalists all received cash prizes; the winners being presented with very impressive trophies to mark their achievement. Undoubtedly, the format of the tournament was well received as was the organisation with everyone being most well prepared. Notably, to acquaint the players with the new plastic balls, 120 balls were given to each participant. 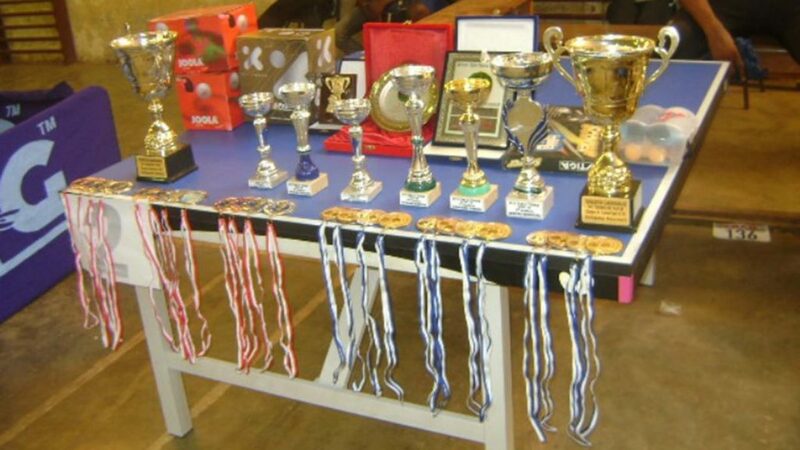 Awards for the players, there was also an award for Alfred Bagueka Assobo; one year earlier Cameroon had hosted a most successful 2015 ITTF-Africa Senior Cup in Yaoundé. In recognition of his efforts; agreed by the Executive Committee of the African Table Tennis Federation, deservedly he received the continent’s Merit Award.